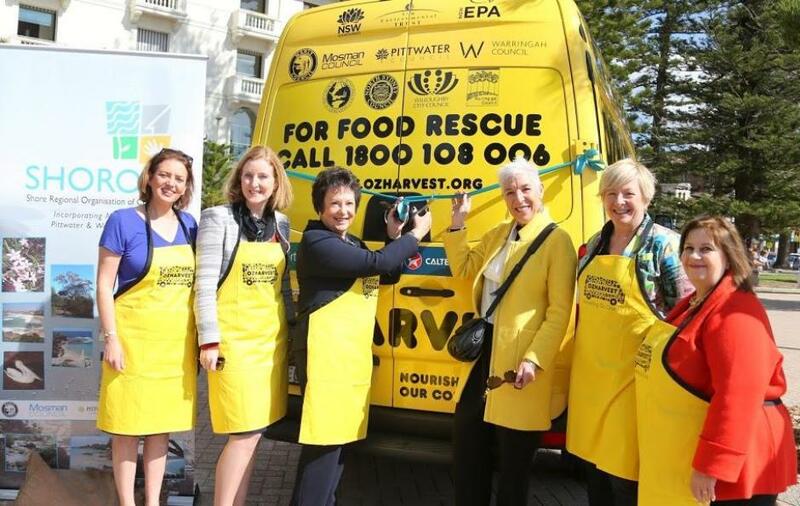 In an Australian first, Mayors from the Northern Beaches and North Shore today proudly launched a new OzHarvest van which will collect surplus food from local businesses to give to charities. OzHarvest works with local restaurants and cafes to reduce the amount of food being thrown away and help feed those in need. A win – win for the community, business and the environment. In the innovative new partnership OzHarvest is receiving funding from the NSW Government’s Waste Less Recycle More Initiative for a new collection van and the driver is being supported by eight local councils – Manly, Mosman, Pittwater, Warringah, Ku-ring-gai, Lane Cove, North Sydney and Willoughby. The van will significantly increase the amount of surplus food collected from businesses across the local government areas and donated to those in need. Each year businesses in Sydney throw away more than 300,000 tonnes of food and an estimated 139 tonnes of food will be saved from landfill through this partnership. OzHarvest picks up surplus food from businesses that would otherwise be thrown away. The food is distributed locally to charitable organisations including homeless shelters and assists many people in need. 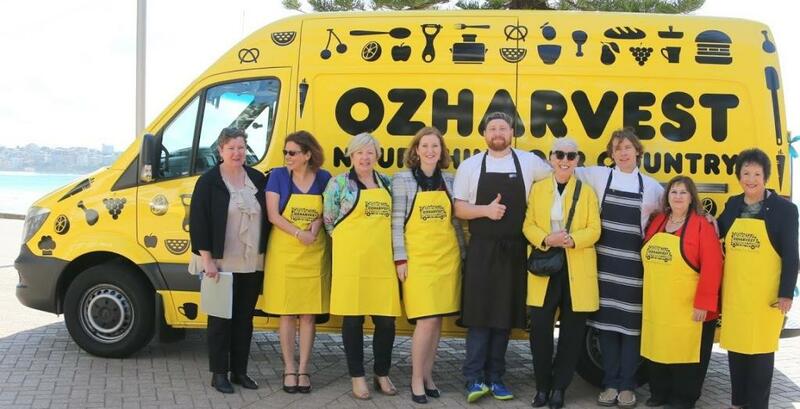 The Mayor of Manly and SHOROC Vice-President, Cr Jean Hay AM together with the Mayors of Pittwater, Willoughby and Ku-ring-gai launched the new van with OzHarvest chef ambassadors and local charity recipients. “As Mayor of Manly and SHOROC Vice-President, I am very proud to be able to launch this project. It is an Australian-first with councils from the Northern Beaches and North Shore partnering OzHarvest in collecting surplus food from local businesses to give to charities rather than being thrown away. “Businesses save money by not having to pay to get rid of surplus food, but more importantly have the satisfaction of knowing they are making a valuable contribution to those in need in their local community,” Cr Hay said. Local businesses are encouraged to get involved and can call OzHarvest on 1800 108 006 to donate their surplus food to feed those in need. This project is a NSW EPA Waste Less Recycle More initiative funded from the waste levy and is part of SHOROC’s Too Good to Waste strategy.